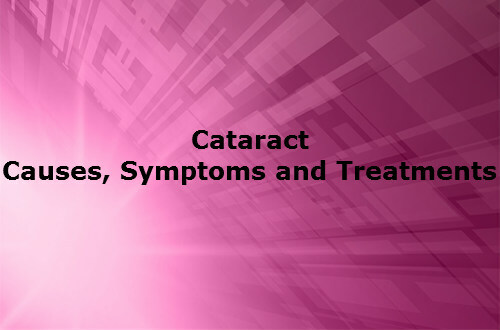 Here is what are cataracts ? Cataracts are the main reasons for the blinding of eyes. They affect more than 300 million people a year. The cataracts are caused due to the formation of clouds on the natural lens of the human eye which is behind the lens and the pupil. The person affected by cataract will be very sensitive to light. Usually people above the age of forty will be affected by cataract. But now even people of young generations are also being affected by cataracts. The clouds of the cataracts hinder vision and gradually grow over time hindering the eye vision. They cannot be corrected or reversed unless and until a surgery is done. Even after the surgery the patient will require to wear reading glasses to read. Similarly people’s prescription will change and they will have to wear coloured glasses for a period of time. The healing after the operation will take over a period of eight to ten weeks. Cataracts affects people mainly in the USA more than the rest of the world. It is the common eye problem affecting the people more than the problems of glaucoma, diabetic retinopathy and the degeneration macular muscles combined. This when left ignored or untreated will result in blindness over a period of time from which there is no reverse of the normal condition of the eyes. A Subcapsular Cataract usually befalls at the rear part of the lens. The people who are prone to this type of cataract are diabetic patients and those people who undertake certain drugs and steroids to help shape their body through exercise. Nuclear cataract are those which affects the centre of the lens. The aged people are usually affected by this. Cortical cataract is in the form of wedge shaped white clouds that start at the edge of the lens and move towards the middle in a spike formation. This affects the cortex of the lens surrounding the centre of the nucleus. The symptoms of cataract are obvious. They cannot be missed by anyone. People of any gender and age will be affected by cataract. The people will have a blurry vision, the type of vision that one experiences when looking through a dusty glass. The eyesight worsens over time. The person will be sensitive to lights. While traveling at night, the headlights that were once not so garing will glare enough to obstruct the path of the traveler. The colours may not be looking brighter as always. The symptoms we have depend on the type of cataract with we are affected. The subcapsular cataract will not show any signs until it is fully developed. Whereas the nuclear cataracts will develop the near vision of the person on a temporary basis. After some time the problems come haunting again. The cataracts affect the eye at all stages of their development. If a person gets a hazy or blurry vision he or she must rush to an eye doctor specialized in cataract immediately. The human eye is similar to that of the camera in many ways. Likewise lens of the eye is akin to that of the camera lens. The lens focuses light into the retina to have a clear vision of the objects. It adjusts the position of the eyes to enhance the vision of the near and the far objects. The human lens is made up of water and the proteins which are the building blocks of the body. Due to the process of aging the proteins in the lens cluster together to form a lump of proteins and hinder the vision of the eye. This makes the person to strain his eyes. The reason for the clumping of proteins is not known but the eye specialists have speculated some or the other reasons for the possible cause of cataract. The diabetic patients are more prone to cataracts. Excessive smoking provides many ill effects to the body. One among them is the formation of cataracts. Any eye surgery done before causes cataracts if the surgery was carelessly done. Any injury in the eye . Excess body weight or obesity. Exposure to the Ultra violet rays of the sun. Use of any steroid medicines or drugs. The modern theory that tries to explain the reason for the formation of cataract development is the oxidation processes that takes place in the lens. This can be prevented by consuming the antioxidant foods and drinks that help to lower the risks of oxidation. The doctors at first advise the patients to wear glasses to correct the vision when affected by cataracts to get a clear vision. Strong bifocals and other magnifying visionary aids are also used to treat the cataract patients. They suggest surgery when the cataract has grown big enough to be a real threat to the vision. It is an easy, painless and a simple procedure to remove the cataracts from the eyes. The people consider loss in vision as one of the characteristics of old age but it is not so. The surgery can effectively help to regain vision. The surgeon at the time of surgery detaches the cataract affected lens and replaces with a plastic intraocular lens. The intraocular lens hinder the passage of harmful ultraviolet rays into the eyes because they harm the eye vision. It is the most frequently done operation in the USA with a rate of nine of ten people regaining vision efficiently. The prevention of cataracts is easy and efficient. It can be effectively prevented by wearing sunglasses when going outdoors. The foods rich in vitamin E like meat, fish, yeast, cereals and soya milk can effectively lower the formation of cataracts. Foods rich in carotenoids like lutein and zeaxanthin like spinach and other green leafy vegetables will also efficiently help to lower the possible chances of cataracts. The foods rich in vitamin C like apple, orange and foods rich in omega-3 fatty acids are also efficient in lowering the chances of cataracts.